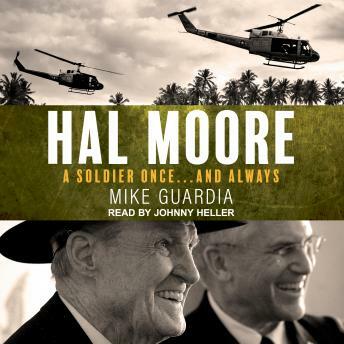 Hal Moore, one of the most admired American combat leaders of the last fifty years, has until now been best known to the public for being portrayed by Mel Gibson in the movie We Were Soldiers. In this biography, we finally learn the full story of one of America's true military heroes. A 1945 graduate of West Point, Moore's first combats occurred during the Korean War, where he fought in the battles of Old Baldy, T-Bone, and Pork Chop Hill. At the beginning of the Vietnam War, Moore commanded the 1st Battalion of the 7th Cavalry in the first full-fledged battle between U.S. and North Vietnamese regulars. Drastically outnumbered and nearly overrun, Moore led from the front, and though losing seventy-nine soldiers, accounted for 1,200 of the enemy before the Communists withdrew. This Battle of Ia Drang pioneered the use of 'air mobile infantry'-delivering troops into battle via helicopter-which became the staple of U.S. operations for the remainder of the war. He later wrote of his experiences in the bestselling book We Were Soldiers Once . . . and Young.